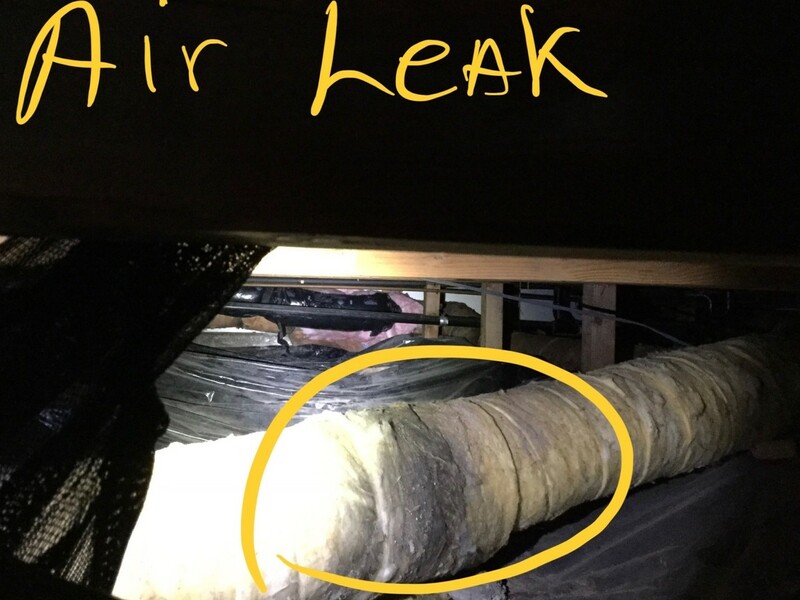 When should you have your air ducts cleaned and inspected? Never, if you live in a desert dry environment with no pets, kids, crawl space, or guests and you have a HEPA rated furnace filter that is changed on schedule. We are obviously not describing Portland Oregon. 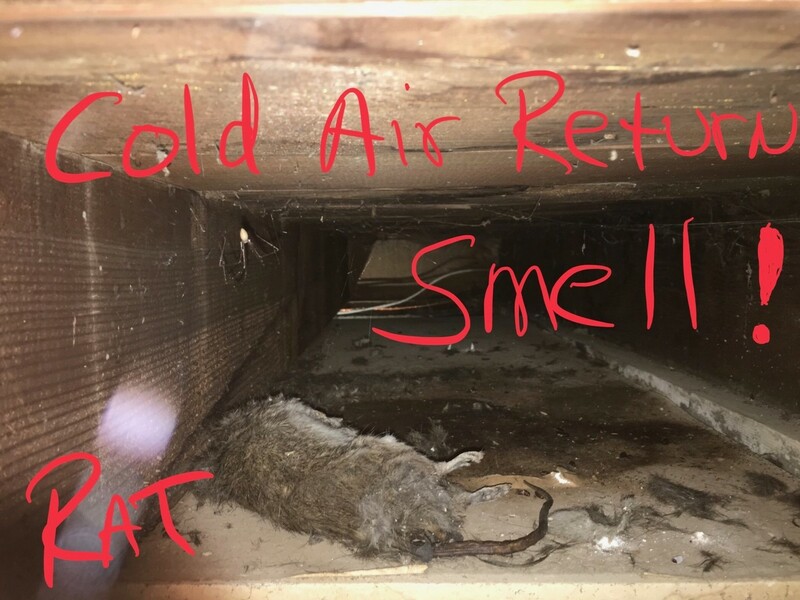 Right Away is the answer if your allergy symptoms go away at work and return a couple of hours after you come home, or if you have a damp crawl space, allergies, pets, kids, or you suspect rodents might be living under your home. 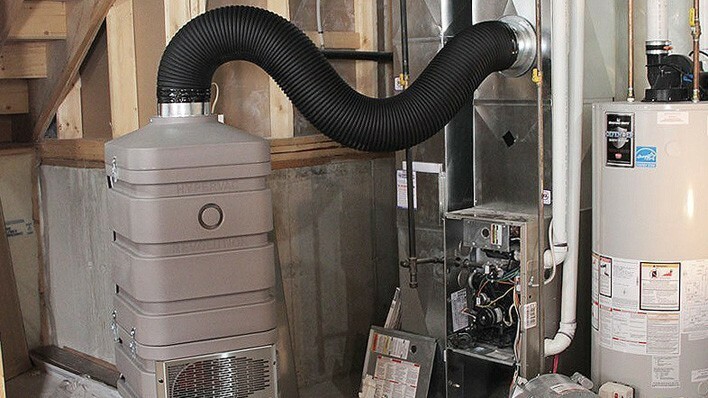 The duct cleaning system that allows the customer and technician to see the dust, droppings, and debris as it is being removed. Our process does not require you to leave your house during duct cleaning and sanitizing. Pets living in your home add significant amounts of organic particulates to the environment. Dandruff, hair, and saliva particles can get by the air handler filters and be deposited in the ducting. Children can, and will, dump food and who knows what else into the floor vents. 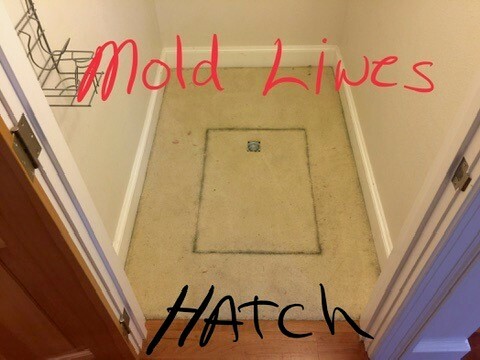 These materials will mold and produce spores that irritate allergies. Have you seen or smelled rodent droppings? 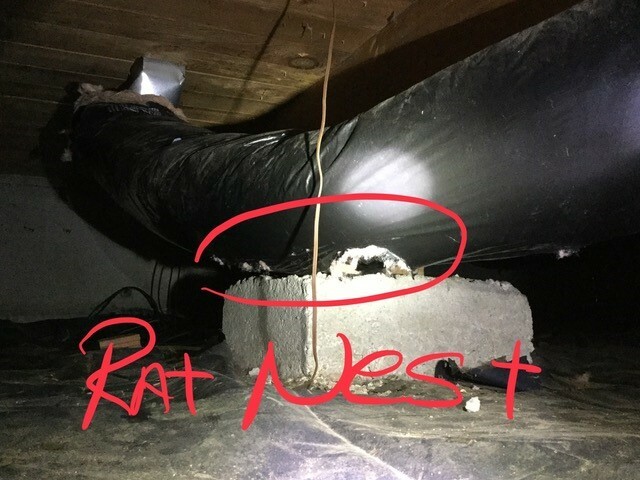 Mice, rats and insects living in your crawl space love warm air ducts, and will always try to find a way to get inside these ducts. 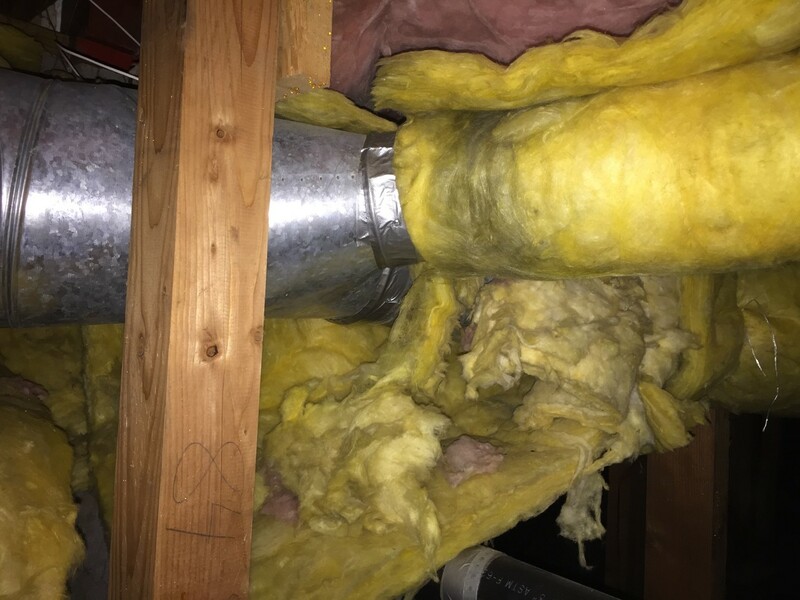 We offer Rehab and Repair services for your ducting, when we find gaps and holes that allow damp crawl space air to be pulled directly into the ducts HVAC system. 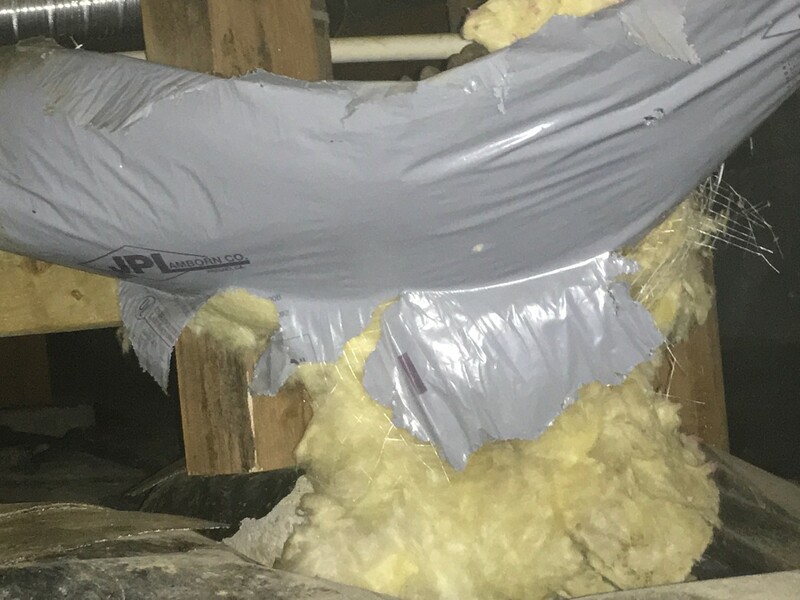 Nature First’s economical duct system rehab service includes replacing failed old tape on major seams, reconnecting air duct joints, rehanging the sagged duct work off the ground where possible and repairing chew holes and tears in flexible ducting. Most of the older air handling systems we encounter have gaps, sags, and actual holes that allow rodents to enter and contaminate the ducts. This is especially true for the plastic flex ducts, new or old. Free Leak Checkup. Don’t clean badly leaking duct work. Find out what condition your system is in. 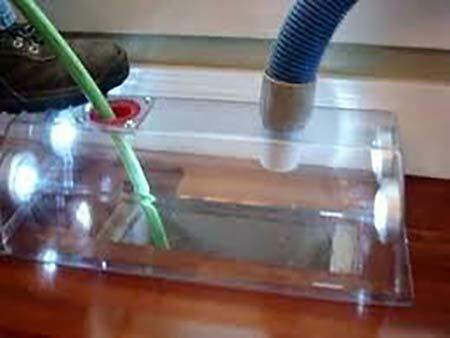 Water collecting in the crawl space promotes moldy air that leaks into the ducts. 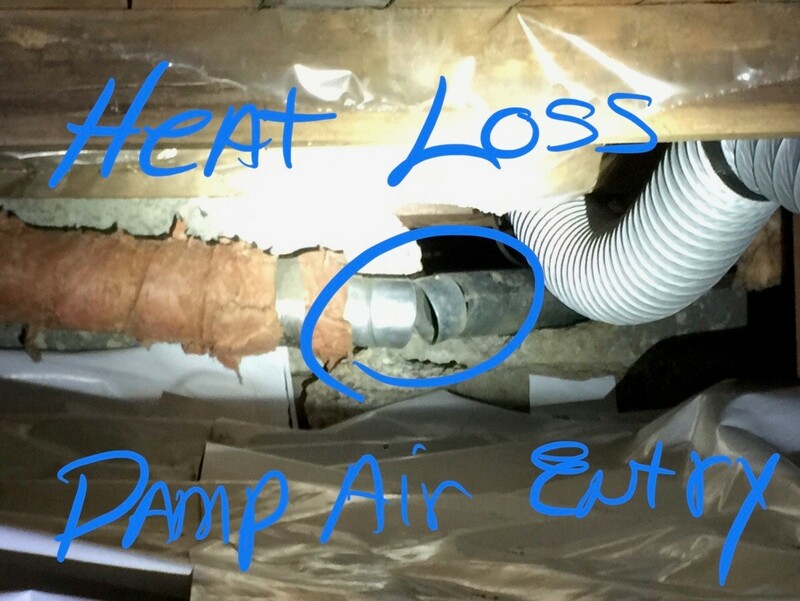 Moisture will cause debris in the ducts to mold. 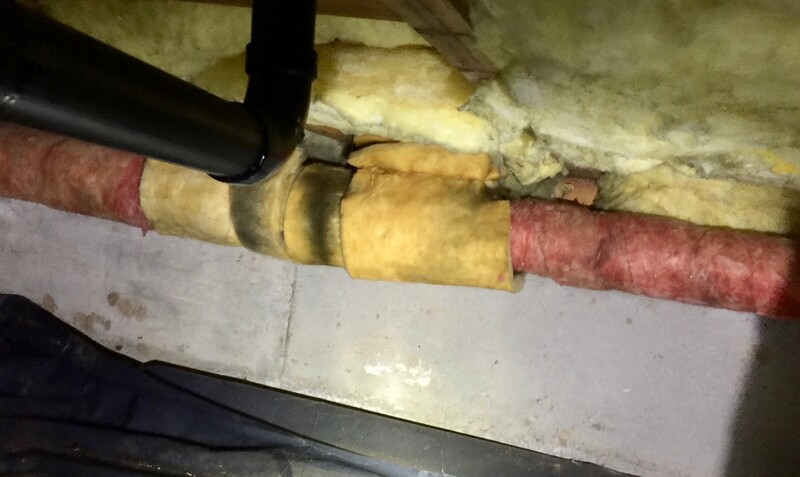 Removing or replacing duct insulation where it is compressed and soiled by rodents may be advised. Nature First’s duct Rehabilitation and Cleaning service can be more economical than replacing damaged ducting. Consumer Protection groups say that Fifteen Thousand home fires are caused each year by clogged clothes dryer vents. Does your dryer dry your clothes as quickly as when it was new? If not, the exhaust is almost certainly restricted. It does not take a lot of lint building up in your dryer duct to double your drying time and energy cost. Nature First uses a combination of air pressure and mechanical scrubbing to restore air flow and remove hardened lint build up in dryer vent lines.